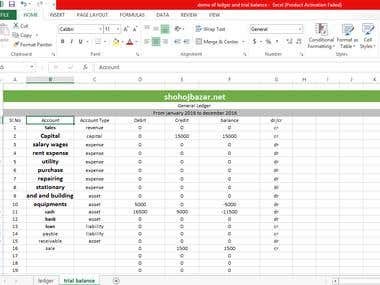 I have been working as an Accountant for 5 years and have recently started working as a freelancer accountant and consultant. I have experience with multiple accounting software solutions such as 1=QuickBooks 2= Xero 3= Quicken 4=Myob 5=SAGE 6=Zohobooks 7=Excel Working with different types of companies from different countries, with a focus on US based businesses. I have experience with 1=writing business plans 2= budgeting & financial forecasting 3= building accounting systems for new establishments 4= clean up of existing companies. I lead & manage overall accounting operations, focusing on financial reporting, data entry bookkeeping, and filing tax returns. I am an experienced user of Microsoft Office and proficient in Excel.